Being home, almost 24/7 with the kids, I'm confessing that my most dealt with battle is dealing with sibling fights, the sudden combats that would break out during peaceful activities or even in situations that you never thought an argument could break out. This annoys me totally, especially the need to abandon tasks, to play mediator. Thankful for situations that no one's hurt, but in some, things or person gets hurt. Sounds violent, but factual that parenting is no bed of roses. As much as we constantly advocate about sharing, caring and loving your brother and sister, it always seem that our words have fallen on deaf ears or that words don't serve good reminders. 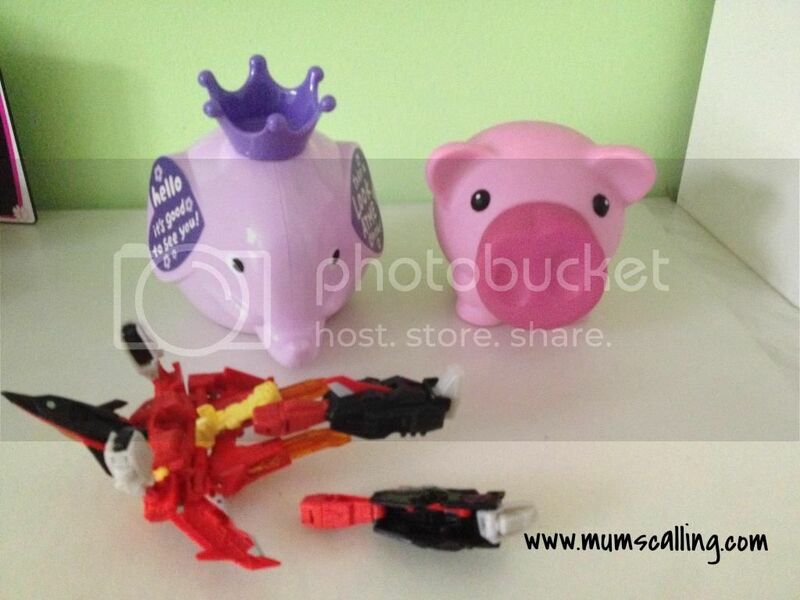 One of the terrible incident was when Jazz threw Jare's toy in fit of anger, and it broke. The transformer that he hearts very much was beyond repair. Sure she got a good reprimanding from me. In midst of my chiding, I got exasperated with repeating my chants again and again. Nothing works! This time, I made sure she paid a memorable price for the anger that was displayed wrongly. I took $20 from her piggy bank to deposit into her brother's elephanty. It's fair that little brother can now buy a new one with that money. She was already given a big discount, that toy costs more. We told Jare to save it up instead. Jazz was really upset about the whole episode, she cried and kept apologizing. I felt for her, and I knew she was regretful for that act. Being soft-hearted is always my worst parenting trait, I was tempted to cave in, by letting her off without any penalty, but I knew I had to sit firm. And while she took some time out at the thinking corner, I wanted her to zoom in and out of the situation to address the feelings of little brother and people around her, how they felt at that point of argument. I hope the understanding of different perspectives helps during conflicts. With that, I got her to draw what she thinks about that incident. 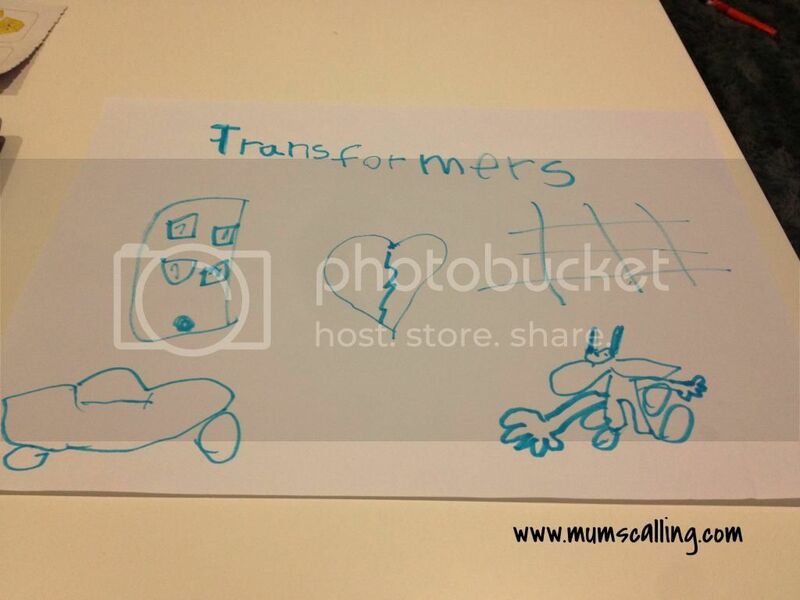 Jazz drew many toys and described her drawing as both being broken-hearted. She lost $20 painfully, and Jare on the other hand, lost his favourite toy. Well, we can't fix what's broken, but I hope we can learn some good values out of it. A second incident broke out just within weeks! They were squabbling and snatching over toys, and Jazz raised her hand to hit Jare. I was so mad! Again, I got her to draw. I won't know how many more times I have do this with their crayons and papers, but at least it calms us during the drawing process. Her emotions got regulated as she drew and related the feeling of the victim. While I tried to tone my pitches and avoid the physical punishments. I use this as their reminder now, saving me on words. Effectively, there was once when Jare wouldn't share his toy with Jazz, despite my coaxing. 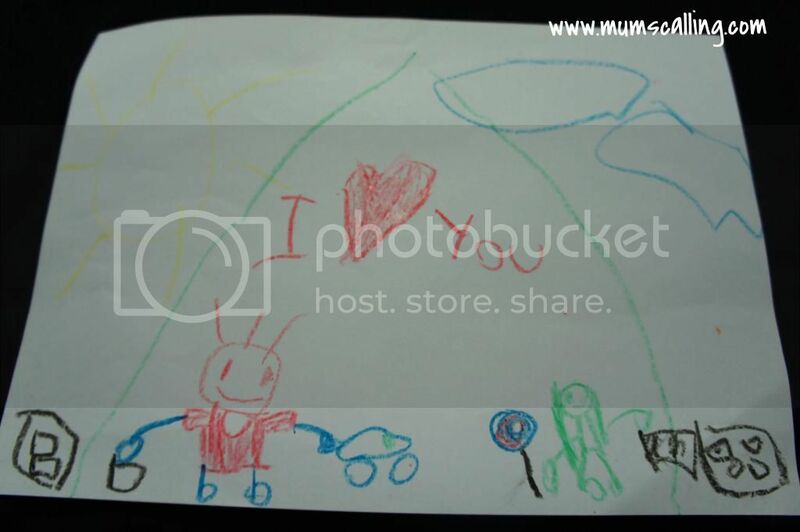 He saw this drawing and went, "You're right jie jie, I share my car with you, and you'll share you lollipop with me." Aww... he melted my heart, and surrendered his toy. "Hey kids! Mama really dislike chiding and smacking on you. We all love peaceful mediation." I know it's extremely challenging for us. Js are spending the same 24/7 time, as mine. They write, play, eat and sleep together. The only time apart is when big sister does her drama and ballet classes. For that bulk amount of time spent together, I tried to comfort myself that it was parental decision that they are kept this way and sure, probability of conflicts is much higher. Yet I think we will learn something valuable each time, or at least an improved drawing skill. Do you have some effective or interesting disciplinary methods to share too? please visit this website for the best hotels in kathmandu at affordable price . Pikey Peak trek is a newly opened destination and a community based trek in the mid hills of Nepal. The trek remains mainly in the Solu district of the solukhumbu region and mostly focuses on the village life, sherpa culture over the mountain panorama. On top, the trek is short and sweet and is considered an easy trekking destination in Nepal. If the northern region of Everest is famous for the views of the highest mountains in the world, the southern part is very rich in floral and cultural diversity, virgin landscape and mountain vistas. The journey to Pikey peak and dudh kunda takes you through unique way of life and unfolding mystery found nowhere in the world. The 28 rooms in Truly Asia Boutique hotel are carefully crafted to its optimum degree of comfort and convenience. You can choose from high-value deals and combine our high-class room to get the best experience in Nepal. Whether you are travelling for work, leisure or for any other purpose, you can do that in style by accommodating in our hotel which was designed with the best for you in mind.